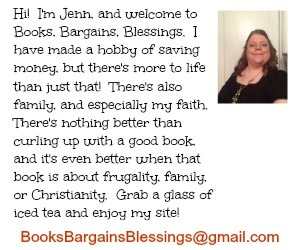 FTC disclaimer: I received a copy of this book from the publisher in exchange for a fair and honest review. All Opinions are my own. This post does contain affiliate links. When I went through RCIA, the one topic that we didn’t get to cover well was saints. 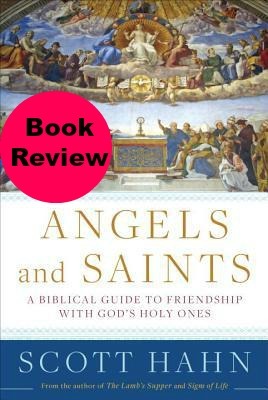 I was excited to find out that Scott Hahn has a book called Angels and Saints, A Biblical Guide to Friendship with God’s Holy Ones. I am a big fan of Scott Hahn, and I highly recommend his books and this one is no exception. As someone who grew up Protestant, this was one of the more difficult teachings in Catholicism for me. As is true of all of Dr. Hahn’s work, he explains so well the teachings of the Church that you either agree with him or at least understand where the Church is coming from and why they do the things they do. One thing I really liked about this book is how Dr. Hahn talked about how we honor our loved ones who have passed away and then relates it to how we view saints. Too many people I have cared about have passed away this year. When I visited my mother’s freshly covered grave, I talked to her as if she was right there and could hear me. Therapeutic? Yes, but also who is to say she isn’t able to listen. If we reverence the place where our parents are buried, shouldn’t we also reverence relics of the saints as they have faith we can only pray to have. Dr. Hahn also discusses angels and their place in the world. So many people in my life have passed away this year and with every person I have heard “Heaven gained another angel”, yet that isn’t scriptural although it may be a good thought. People don’t become angels when they die. In this book, angels are discussed and their role in the heavenly realm. I feel like I lost so many people this year, but at the end of this book Dr. Hahn discusses when he met his (then) soon to be wife’s extended family and realized they would become his family as well. He compares that to the saints. We are part of the family of God, and St. Francis is part of our family of God just the same as our brother in law is part of our earthly family. By realizing the richness of those who have gone before us, it can encourage us to live our lives in the way that we should. I really enjoyed this book. As I always say with Dr. Hahn’s books, it took me a while to get through because there was so much I wanted to consider and ponder. I recommend this book for any Catholic, as well as anyone who wants to understand why Catholics believe as they do.